Summer reading is upon us! 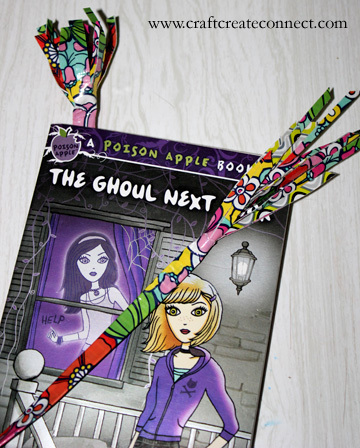 What better way to mark your place than with a cute little bookmark? If you are anything like me, you have more than one book going at a time and can never find something to mark your place. If your kids are anything like mine, they occasionally need a push to open a book in the summer. 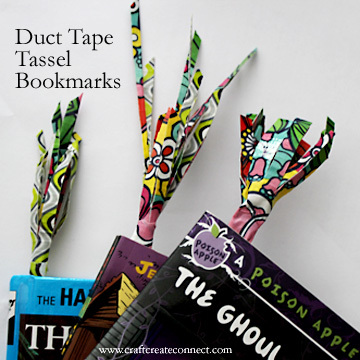 These quick duct tape tassel bookmarks will fit the bill perfectly either way! Rip a piece of duct tape approximately 3 inches long. 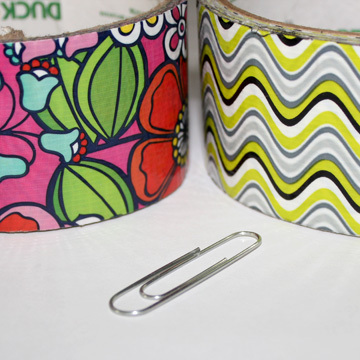 Place the non-clip edge of the paper clip along the edge of the tape. 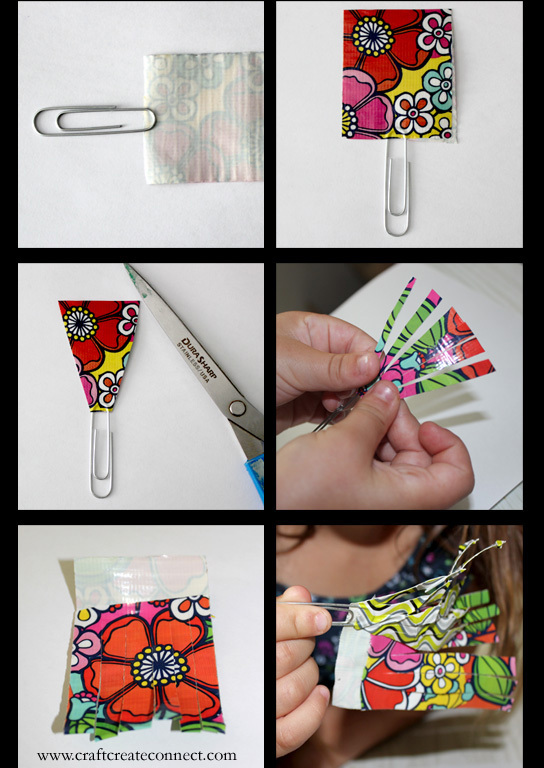 Fold the tape over upon itself, touching the wide edges together over the edge of the paper clip. From the edge of the clip, cut up to the corner of the tape, repeating on the other side. 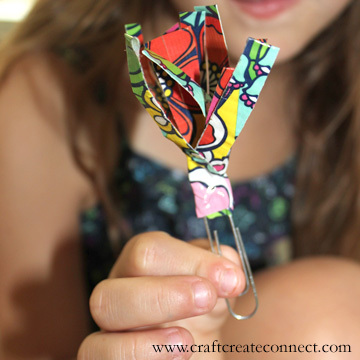 Cut small strips of tape, starting at the top, down to the top of the paper clip. Set aside. Rip a second piece of tape, approximately 3 inches long and fold top edge down width wise, leaving a small portion of sticky bottom. Cut from top down into strips lengthwise. Lining up the bottom edges, begin to wrap the sticky edge of the tape around the paper clip, keeping the edges aligned. Voila! Rip a piece of duct tape, approximately 2 inches long. Fold strip lengthwise, making sure to keep the edges aligned. Repeat 2 more times, with slightly different lengths of tape. Cut the top edge at a slight diagonal from the outside edge to the upper corner. Next, cut the tape down along the length to from small tassel strips. Be sure to stop before you hit the bottom! Set aside. Rip a new piece of tape the length of your book. Lay it flat, sticky side up and then place the tassel pieces along the top edge, pressing them down so they stick. Begin to roll the outer edge inward along the length, repeating until all tape is used. 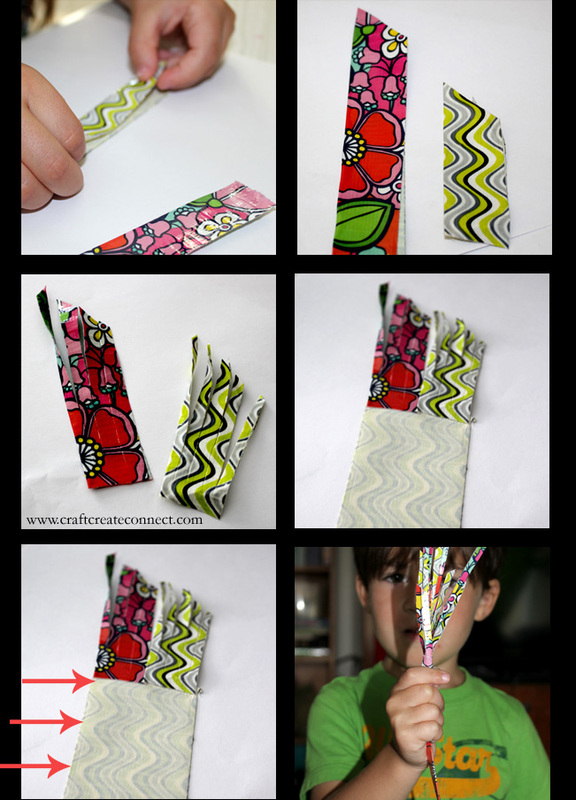 If rolling is difficult, fold tape lengthwise approximately a quarter of the width. Repeat 3 additional times or until all tape is used. If the bottom edge became a little ragged, simply trim straight across. Voila! This project only took about 10 minutes to complete and the kids loved putting them in their books. They even sat down to read! What more could a crafty mom ask for?! Wow, now that is a creative use for duct tape! I had no idea they made such pretty patterns now, too. Thanks! They have soooooooooo many cute patterns now. We bought a few rolls so are getting crafty finding ways of using them 🙂 Thanks for the comment and stopping by!